A survey from the Federation of Master Builders (FMB) has shown the majority of house builders have not been affected in the wake of the EU Referendum. The survey, which asked more than 100 SME house builders in England about their situation since the country voted to leave the EU in June, resulted in almost 69% saying their decisions have yet to be influenced by the referendum. Results for this survey were collected throughout August, meaning the respondents were given time for the initial impact of the Brexit vote to pass before they were surveyed. In addition to those who feel their decisions haven't been influenced, only a fifth say a project they are involved with has been put on hold, while less than 10% of respondents have seen projects cancelled since the vote. 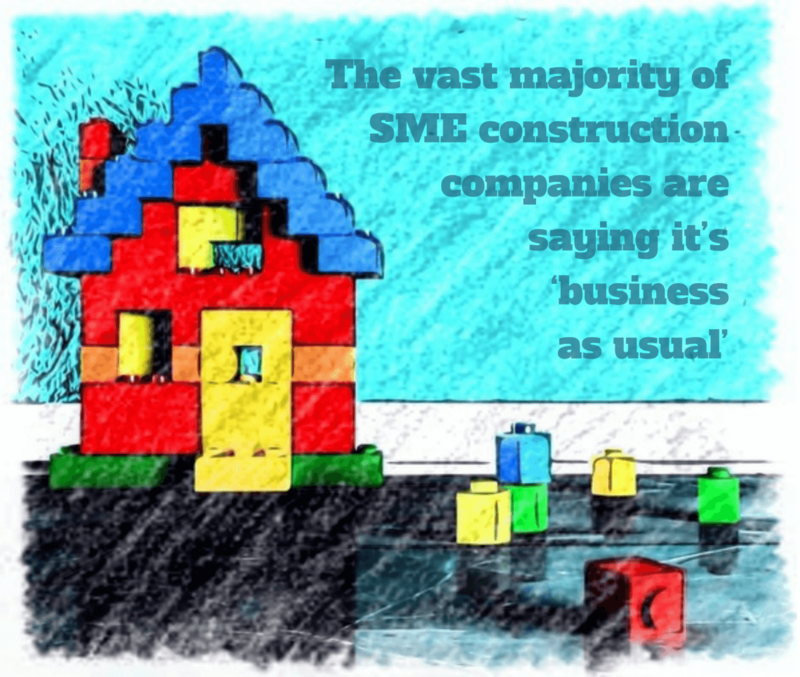 Brian Berry is the Chief Executive of the FMB, and he said that the vast majority of SME construction companies are saying it's 'business as usual'. He said: "Despite some fears that the referendum result might put new projects on hold, the overwhelming majority of SME house builders are reporting that no decisions have yet been influenced by the referendum result. "This matches the view expressed by many small construction firms that so far, the market appears to suggest that it's 'business as usual'. Only a quarter of small house builders have seen any negative effect on their projects from the Brexit decision, and most of these are the result of delayed decisions rather than actual project cancellations." The survey also asked respondents what they feel is important for the UK government to secure as part of the process to leave the EU. More than 55% are seeking the removal of unnecessary regulation, while 22% want guarantees that skilled tradespeople from the EU can still work in the UK. Brian Berry believes that removal of unnecessary regulation should be Prime Minister Theresa May's "most important consideration" throughout exit negotiations. He also said movement of skilled tradespeople is a priority to ensure the success of the industry. "The Prime Minister insists that freedom of movement is now over and if this is not likely to be replaced by a points-based system - as reported this week - crucial sectors like the construction industry must be reassured that whatever system does replace it, it is flexible enough to respond to our needs. "Otherwise, the construction skills shortage will be exacerbated and ultimately, it will become a major barrier to delivering the housing and infrastructure projects we so desperately need."